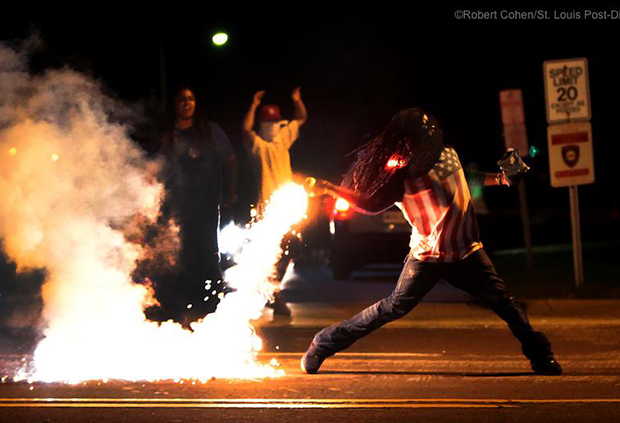 A protester in Ferguson throws back a tear gas canister towards the police. This statement is being distributed in the streets of Ferguson and St. Louis. All the politicians are calling for calm and peace. Fighting back in the streets, they say, accomplishes nothing. They say the people have to work within the system to bring about change. But what has the system ever accomplished? 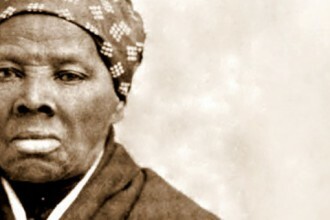 This is the same “new Jim Crow” system that let George Zimmerman walk free. This is the same system — with the same prosecutors and judges — that is locking up young Black men left and right. This is the same system that has always been based on poverty, unemployment, gentrification and racism. 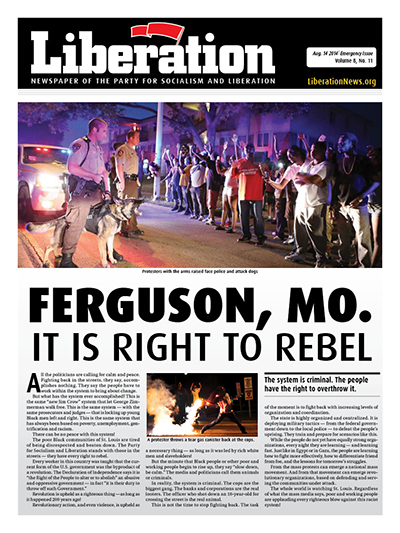 This Special Issue of Liberation is being distributed in Ferguson, St. Louis and around the country. Click to make a donation to support the costs of printing or order copies for your city. There can be no peace with this system! 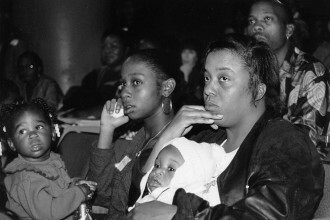 The poor Black communities of St. Louis are tired of being disrespected and beaten down. The Party for Socialism and Liberation stands with those in the streets — they have every right to rebel. Revolution is upheld as a righteous thing —as long as it happened over 200 years ago! Revolutionary action, and even violence, is upheld as a necessary thing — as long as it was led by rich white men and slaveholders! 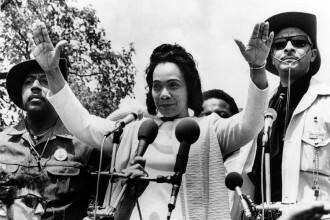 But the minute that Black people or other poor and working people begin to rise up, they say “slow down, be calm.” The media and politicians call them animals and criminals. In reality, the system is criminal. The cops are the real gang. The banks and corporations are the real looters. The officer who shot down an 18-year-old for crossing the street is the real animal. This is not the time to stop fighting back. The task of the moment is to fight back with increasing levels of organization and coordination. The state is highly organized and centralized. It is deploying military tactics — from the federal government down to the local police — to defeat the people’s uprising. It has trained and prepared its personnel for scenarios like this. While the people do not yet have equally strong organizations, every night they are learning — and learning fast. Just like in Egypt or in Gaza, the people are learning how to fight more effectively, how to differentiate friend from foe, and the lessons for tomorrow’s struggles. From the mass protests can emerge a national mass movement. And from that rebellious movement can emerge revolutionary fighters and organizations, dedicated to defending and serving the communities under attack. The whole world is watching St. Louis. Regardless of what the mass media says, poor and working people are applauding every righteous blow against this racist system!